Cut potatoes into bite-size pieces (optional: keep a little of the skin on for a more baked-potato taste). Boil the potatoes for 15-18 minutes until fork tender but not too soft. 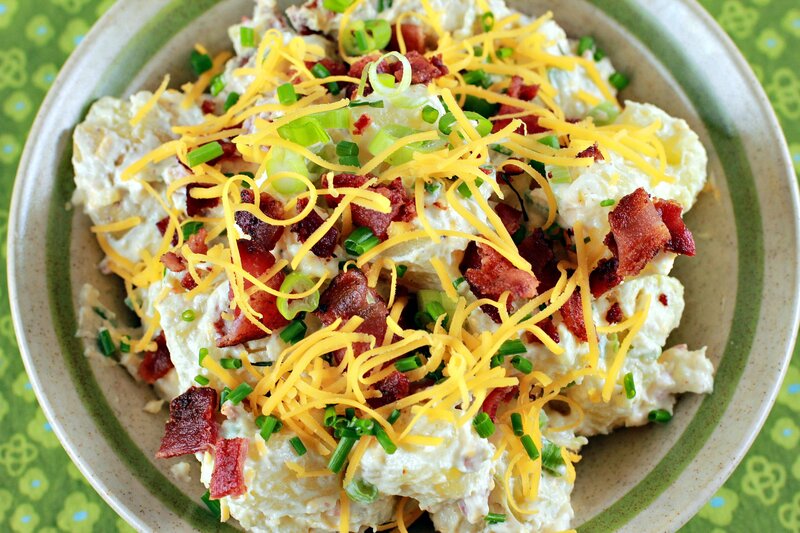 Meanwhile, combine mayo, sour cream, chives, onions, bacon bits and cheddar cheese to form a dressing. Rinse potatoes and allow them to cool. Toss potatoes with dressing and chill overnight. Garnish with additional bacon bits, cheese and chives before serving if desired.